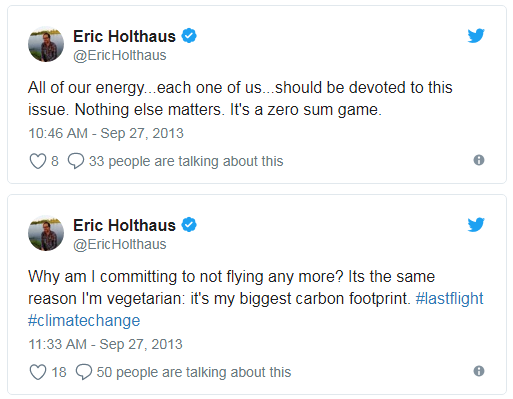 Then a year later, suddenly, flying is OK again. 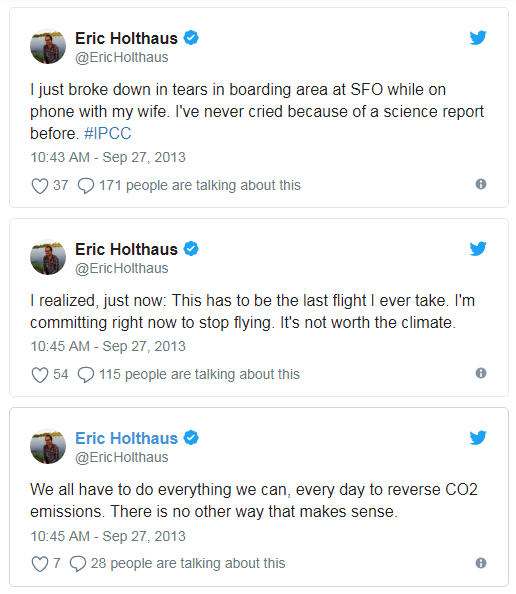 In my opinion, Holthaus is overtly emotional, clueless, and has no critical thinking skills, as are many of the social justice warriors he pals around with. GO LIVE IN VENEZUELA FOR A YEAR!!!! Then, if you survive, and can actually get past the border, come back and tell us why capitalism is so bad compared to that starving, filthy, pet-eating, totalitarian social paradise. In the meantime, we can only pray that somebody will take his Twitter account away. IMHO, he’s a danger to himself and others.